The future where we all control giant mech suits instead of boring old cars is finally getting closer after a real mech armour suit, dubbed Method-1, was revealed in Korea. 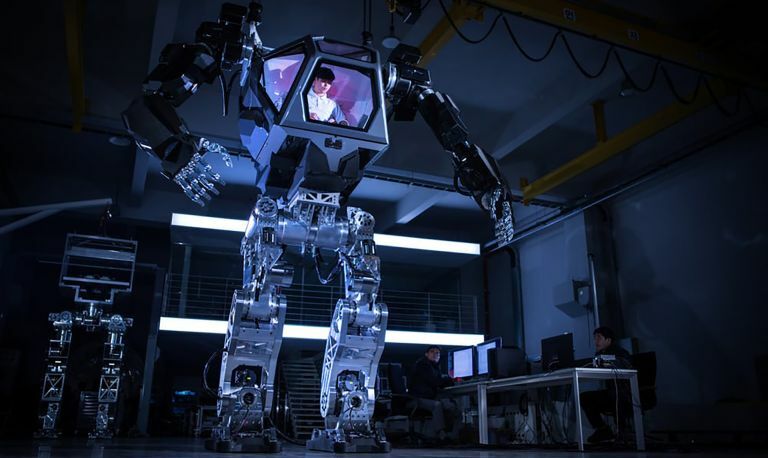 The 13-foot tall exoskeleton mech suit was built by a Korean tech company working with Vitaly Bulgarov. Yup, the same Vitaly that helped with designs for recent Terminator and Robocop movies plus Warcraft games. That helps to explain the cool look, but what can it do? The suit was created with the intention of offering a machine to help work in industrial indoor applications. There will also be a version with the arms on a wheeled platform used to help clear up the nuclear fallout at Fukushima. The Method-1 moves by mimicking the pilot’s movements. Move an arm control inside the suit and the giant arm and hand will mimic that but with way more strength and power. The Method-1 mech suit is able to move forwards and backwards, on flat surfaces, as far as its tethered power cable will allow. It’s also supported by a moving roof girder attachment to prevent falling. Working on the factory floor is about to become a whole lot more competitive as everyone wants to drive this awesome suit.